The official gittutorial man page is a good place to start. A guided tour that walks through the fundamentals of Git. Learn the basics with 20 of the most common commands. A hands-on introduction to the entire Git porcelain. A quick introduction to Git internals for people who aren't scared by words like Directed Acyclic Graph. An alternative book with the source online. Use the powerful features of Git in your projects. Better project workflows with Distributed Version Control. 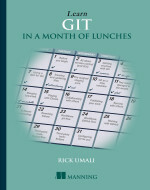 Build powerful and effective projects using Git Version Control Systems. No knowledge of version control? No problem. git-draw is a small tool that draws nearly the full content of a tiny git repository as a graph. It helps people with an engineering background learning Git's internals. Guides on a variety of Git and GitHub related topics. Your Guide to deliver great code using TFS and Git. Master versioning and manage your code with Git by controlling its workflow and using it for your projects. Learn the basics of Git and Version Control through detailed and easy to follow steps. 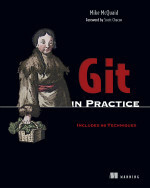 Version Control with Git, 2nd ed. Linus Torvalds visits Google to share his thoughts on Git, the SCM system he created. This talk introduces the Git Version Control System by looking at what Git is doing when you run the commands you need to do basic version control with it.